Call The Experts at Glass Solutions Today For Your Residential and Commercial Glass Installation Services in Raleigh And Surrounding Areas. Your Top Choice for Glass Replacement & Repair in Raleigh, NC! From broken windshields and car windows to damaged windows at your home or place of business – trust the experts at Glass Solutions for all of your glass repair and glass replacement needs. We have to tools, equipment, and expertise to get your windows and windshields repaired quickly and efficiently so that you can focus on more important things. There are any number of reasons to have glass repaired or replaced. From your kids accidentally sending a baseball through your window to remodeling your home, to making upgrades in your bathroom, to repairing damage after a storm, and more. Our glass experts are here to help you get the look and feel that you want at the best price that makes sense. We know that you have options when it comes to glass repair services in the Raleigh, NC area, which is why we work hard to deliver high-quality customer service using only the best glass materials that the industry has to offer. As Raleigh’s trusted experts in glass repair services, we make it a point to stay ahead of the competition, using the most advanced equipment combined with years of experience. We work quickly and efficiently on all projects. Contact us today for a FREE quote on any of our glass repair or glass replacement services! At Glass Solutions, we are proud to serve Raleigh, NC as well as Cary, Garner and other nearby areas with expert glass repair and glass replacement services. Thinking about upgrading your bathroom with a glass shower? Our experts are standing by to help you through every step of the process, including assistance in selecting fixtures. We are happy to make a trip to your home to better demonstrate how something like an upgraded glass shower could improve the look and feel of your bathroom. If It’s Made of Glass, We Can Fix It! If it’s made of glass, we can fix it. From windshields to tabletops – shower enclosures to storefronts – find out what other Triangle area residents are talking about. 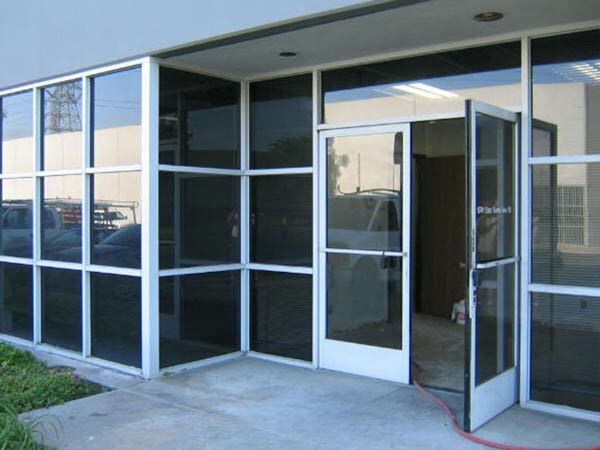 Customers trust us for all of their glass repair and replacement needs because we work quickly and efficiently to ensure a professional, polished result every time. Give us a call to schedule an appointment, or request a FREE estimate on services by filling out our easy online form.